Finding a hotel, hostel, AirBnb or Homeaway room rental can be a time consuming and daunting task, especially if you are visiting a city that you are unfamiliar with. Thankfully we have done all of the difficult leg work on the ground in the city to help better inform you about the best locations around the city depending on your reasons for your stay in Bangkok. We will assume that you are booking hotel accommodations online due to the fact that you are utilizing an online ticketing service for your IBIS bus, Mekong Express, or Virak Buntham tickets from Phnom Penh or Siem Reap to Bangkok. The wisest suggestion for booking hotels would be to pull up Google Maps while searching for deals on rooms where you will find the BTS and MRT maps overlaid onto the map in the same coloring as the official Bangkok transit system. Unless you are exclusively spending your time in the old city area (Grand Palace, Wat Pho, and Khaosan road), we highly recommend that you book your stay within walking distance to one of the BTS or MRT stations scattered throughout the metropolis. Every 100 baht ($3.25 US) taxi or tuk-tuk ride that you take will add up quickly so it would be in your best interest to avoid those costs all together by staying somewhere that allows you quick access to the city. 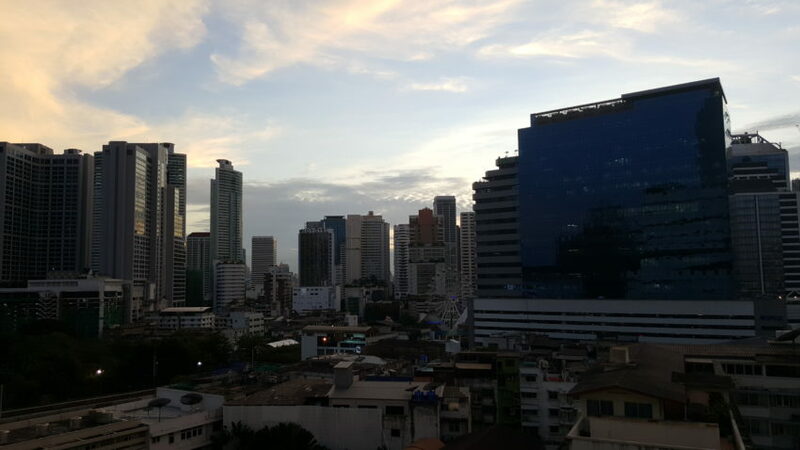 There is a ton of competition in the room rental market in Bangkok, so it is in your best interest to shop around to ensure you secure the best deal. Regardless of whether you are budgeting $35 or $250 a night for a place to stay, you can save yourself tremendously by doing a moderate amount of pricing research. This section of town which is north of Sukhumvit road in the Watthana section of Bankok. Sukhumvit Soi 55 is Thonglor street, and Soi 63 is Ekkamai. The area between the two as well as from the EmQuartier is a very trendy and hip section of Bangkok (technically three sections that we have grouped together) with quality eateries, top notch bars and dance clubs, as well as a myriad of choices for hotel and hostel accommodations. There are three BTS stops in this area, Phrom Phong, Thong Lor, and Ekkamai; and it is recommended that you stay close to one of those. Near the Phrom Phong station is the Arize Hotel (a smaller, boutique style hotel), Adelphi Grande, or the Hilton should you have a larger budget and want to stay in a much more luxurious hotel. Close to the Thong Lo station you can find the Grand Tower Inn or the ritzy Grande Centre Point. Nearest the Ekkamai section you will find more residences than hotels, but it is a great area to stay if you are planning on being in the city for a long time due to the abundance of coffee shops and small eateries. There is plenty of dining in the area including the must visit Vientiane Kitchen where you can dine on authentic I-saan cuisine while watching traditional Thai dancing along with a live band. For a further breakdown of the dining options in the area please read our blog about where to eat in Bangkok. Should you be more inclined to be in the middle of all of the action, the Nana and Asoke sections are where most of the late night entertainment on Sukhumvit can be found. 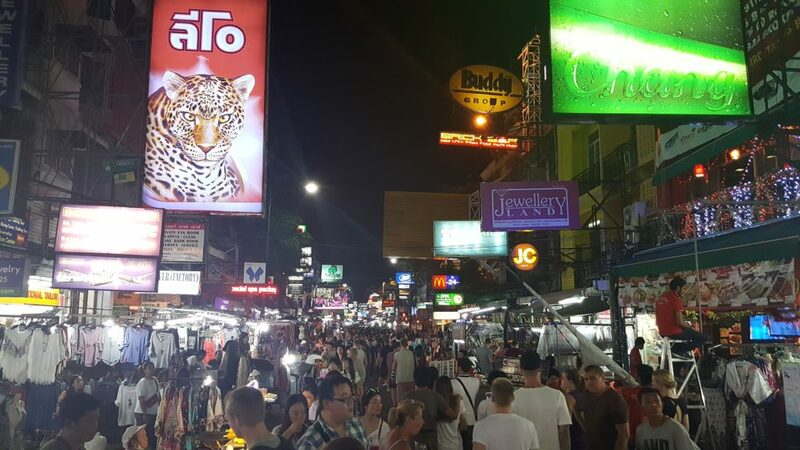 This section of the city is packed with hotels and hostels big and small along Sukhumvit road as well as down each one of the Sois branching out from the main road. Once again it is recommended that you stay near either the Nana BTS station or the Asoke BTS/Sukhumvit MRT station. One of the most popular malls with the locals, Terminal 21, is located at the connection of the MRT & BTS lines and is chock full of great restaurants and shops for even the most picky of consumers. 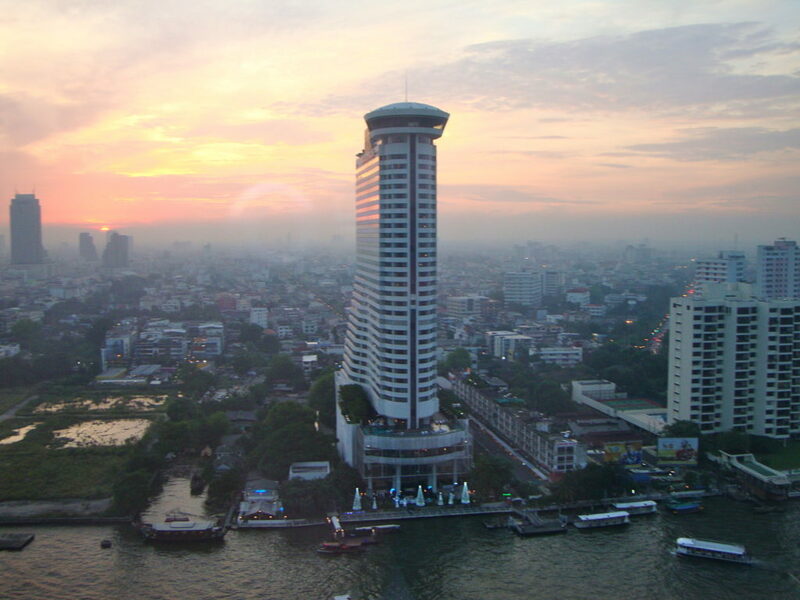 Popular hotels in the area of Nana include the Ambassador Hotel on Soi 11, the Magestic Grande located on Soi 4, or the ultra-posh Landmark Hotel on Sukhumvit road but a few steps from the Nana BTS. If you are looking for a bargain hotel in between both of the Skytrain stops the Best Comfort offers quality affordable rooms. Near the Asoke BTS/Sukhumvit MRT stations are the Dream Hotel , Tiapan Hotel, or the ultra affordable Red Planet on Sukhumvit 14 alley. If you are looking for a fancier, and more costly, hotel there are the Sheraton Grande Sukhumvit and The Westin Grande Sukhumvit as options for the five star hotel consumer. Whether you stay near Nana or Asok, there are tons of options for food and beverage mere walking distance from any hotel or hostel you should choose, so there is no need to travel long distances to fill your belly. For late night coffee and dessert, it is recommended that you visit Holly’s Coffee, on Sukhumvit in between Asok and Nana (close to Terminal 21), which is a 24 hour coffee shop. For further dining and carousing options please view our Guide to Eating in Bangkok<link entire phrase ‘Guide to Eating in Bangkok’ to Bangkok food and shopping guide>. Unfortunately there are not many bargain hotels or hostels in the area due to the high property values, but there are plenty rooms around $100 a night at either the Holiday Inn Express or the Novotel. Perhaps you are a newly minted lottery winner and want to blow some of your cash on some of the finest luxury amenities, and in that case you can stay at the 5 star Siam Kempinski. If you happen to be planning on touring the Grand Palace and Wat Pho tours, as suggested in our Top 5 Things to do in Bangkok blog [Link coming soon], or plan on doing some trinket shopping along with bargain drinking and dining, this is your best option for areas to stay. This is on the bottom of our list here simply because of how far away from public transportation this area of the city, commonly called the Old City, is located. It will cost you around 200 baht (approx $7 US) to get from one of the closest BTS stops to the Khaosan road area. Unless you plan on partying all night and enjoy a raucous environment, we recommend that you stay on Soi Ram Buttri for a little more peace and quiet while still being stumbling distance from all of the action. Most of the rooms in this area of the city are much more affordable, but we can recommend A&A Guesthouse of the Four Sons Village (which are located next to each other). Be advised that the room sizes and quality of furniture is much lower in this area, and that is reflected in the prices that you are charged per night. 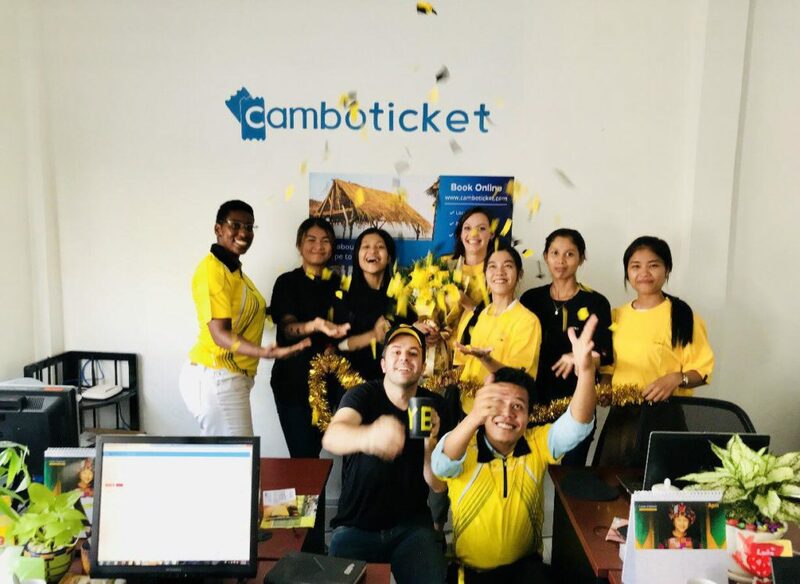 Should you be interested in more reading from the team at Camboticket regarding things to do, how to get around the city, or general advice we have conveniently linked all of our blogs regarding Bangkok below for you. Enjoy your trip to one of the hottest tourist locations in the world.